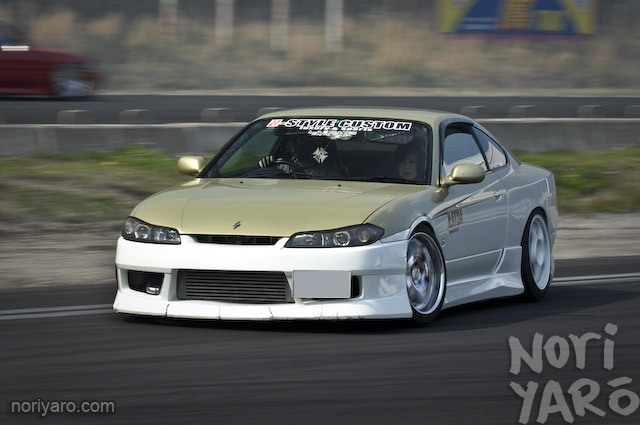 Remember this S15 Silvia I posted a while ago? 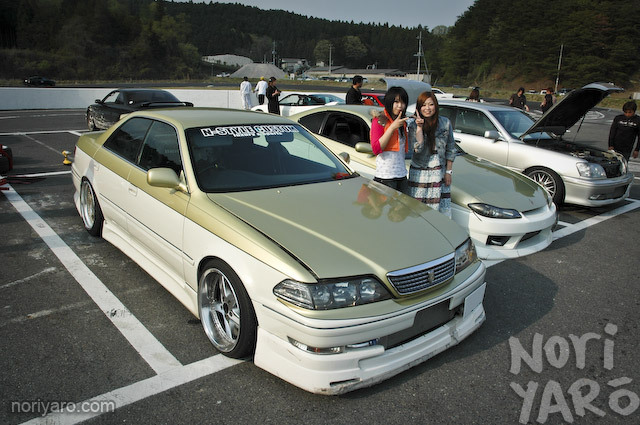 I caught up with the owner again at Nikko Circuit, but this time his JZX100 Mark II driving buddy came along! 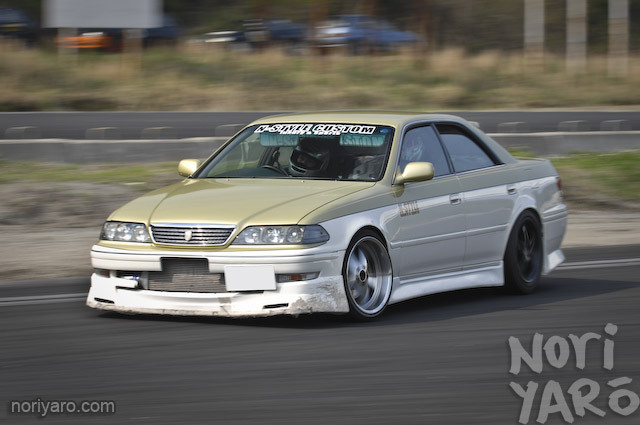 The chunkiness of Work Equips work well with the large size of the JZX100. The Silvia is still looking as good as it did last time, despite the lowness of the front bumper. Notice that the whole front bumper is white, meaning even with that two-tone paintjob, it would be cheap to paint a new bumper if it was smashed, which is kind of inevitable. 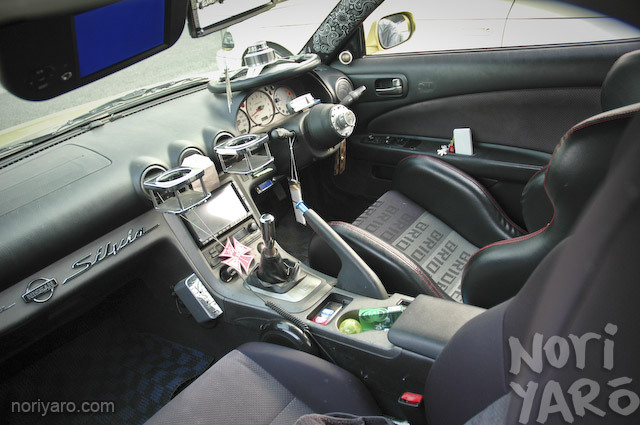 The interior is still completely street-spec. Once again, I completely forgot to ask their names! How well does that pinstripe work on the rear bootlid? The girls insisted on being in a photo too, so here it is! Im not a fan of 2tone. but works very well on both those cars. Thank’s for this post. Really nice pictures, cars, and girls. is it a team paint job (N-Style) or just them two? What are they? painted on? Love to see closer pics if i could! thanks for this post, Alexi! those two cars are sick. and, those girls look cute. I didn’t notice them until I looked at the photos, so I don’t know. Have to say, two tone is rarely pulled of decently on modern cars, but DAMN.. looks good.